Many people do not have the option to put in a gas fireplace for many reasons. 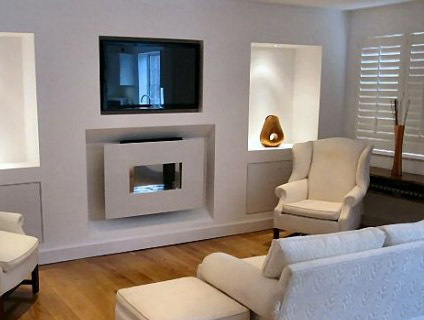 That does not mean that there is no alternative, like this clients apartment condo electric fireplace. We wanted to spend the budget on design and appearance but still having a nice heating element without the high price of a gas fireplace.